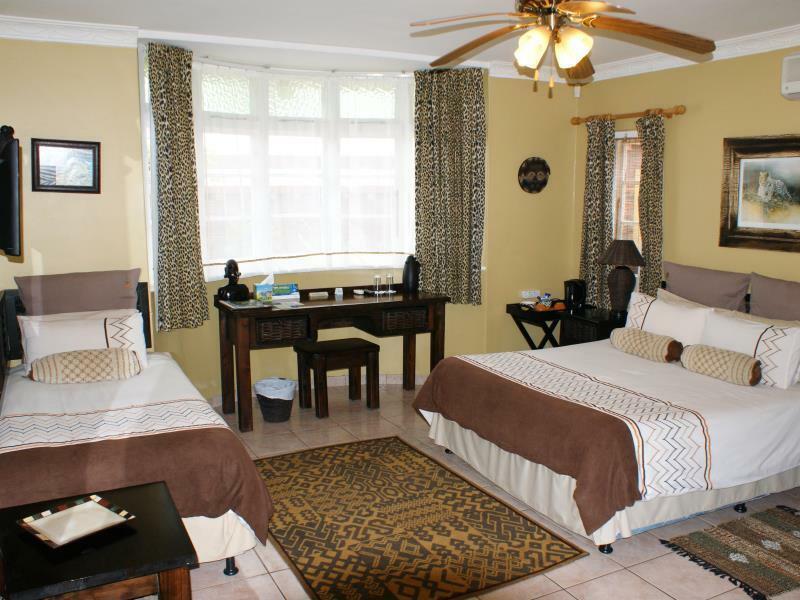 ﻿ Africa Regent Guest House Durban. JIMAT di Agoda.com! Ada soalan mengenai Africa Regent Guest House? Direka untuk kedua-dua tujuan perniagaan dan percutian, Africa Regent Guest House terletak di lokasi strategik di Utara Durban; salah satu kawasan yang paling popular di bandar tersebut. Hotel ini terletak 6 Km dari pusat bandar dan menyediakan akses kepada kemudahan bandar yang penting. Tidak kurang hebat adalah akses mudah hotel untuk ke pelbagai daya tarikan dan mercu tanda bandar, seperti Taman Jepun, Golden Hours Family Market, Beachwood Mangrove. Menawarkan tetamu hotel perkhidmatan yang unggul dan pelbagai kemudahan, Africa Regent Guest House komited untuk memastikan penginapan anda berada di tahap seberapa selesa yang mungkin. Hotel ini menawarkan pelbagai kemudahan di lokasi untuk memuaskan hati tetamu termasuk yang arif. Hotel ini mempunyai 6 bilik yang sangat cantik, setiap bilik dilengkapi televisyen skrin rata, internet wayarles (percuma), bilik larangan merokok, penyaman udara, pemanas. Sepanjang hari anda boleh menikmati suasana yang santai dengan papan damak, kolam renang terbuka, meja biliard, taman, bilik permainan. Africa Regent Guest House adalah destinasi sehenti anda bagi penginapan hotel berkualiti di Durban. The environment was generally good and I personally enjoyed myself. Great place and the hosts were excellent. Thank you Andre for your service as well. I felt very much at home during my stay. The manager David and wife were excellent host. I cant wait to return again. the staff was very accommodating and provided very tasty breakfast. Enjoyed my stay. However would have preferred to have ironing facility in my room as the laundry is quite cramped. Also, the kettle tripped the power plug when in use. Hosts were friendly and gracious, always willing to assist. Location is perfect. The owners are always willing to help and a very pleasant and friendly couple. Fantastic breakfast. Always felt safe and secure. Thank you for a lovely stay. The relieving manager & his partner couldn't do enough to make our stay comfortable and entertaining. There was heaps of information available on attractions around Durban and Andrei went out of his way to phone for further information for us. The breakfasts they provided were wonderful and they even opened the dining room 30 mins early so we had time for a nice breakfast before leaving for the bus station. The recommendations on getting into the city & what to see there were very accurate and our only regret was not having more time. Highly recommend Africa Regent and would love to go back. Dave and Pam were excellent hosts, they were extremely helpful in helping me plan my drive to East London the following day. The full English breakfast was delicious. The room was clean and spacious. The bed extremely comfortable. 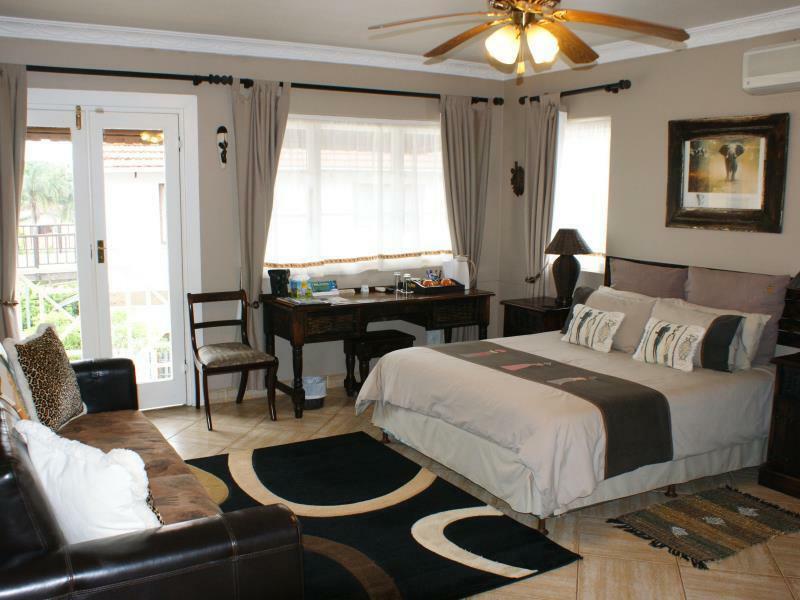 I recommend the Africa Regent Guest House to anyone looking for accommodation in the Durban area. As close as the owners could get to a hotel environment, this is a guest house. This was my first experience of staying at a guest house. Loved my 3 night stay at the guest house ... 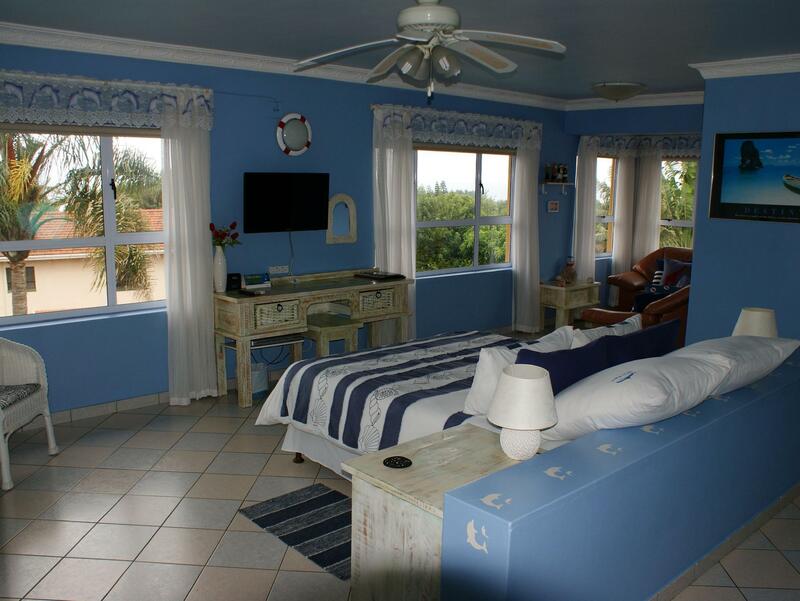 The owners are very friendly, the guest house is clean and situated near lots of restaurants. The pool and facilities are well looked after and they make a superb breakfast. The owners Dave and Pam! we stayed here for 4 nights with my fiancée and her parents in early july. 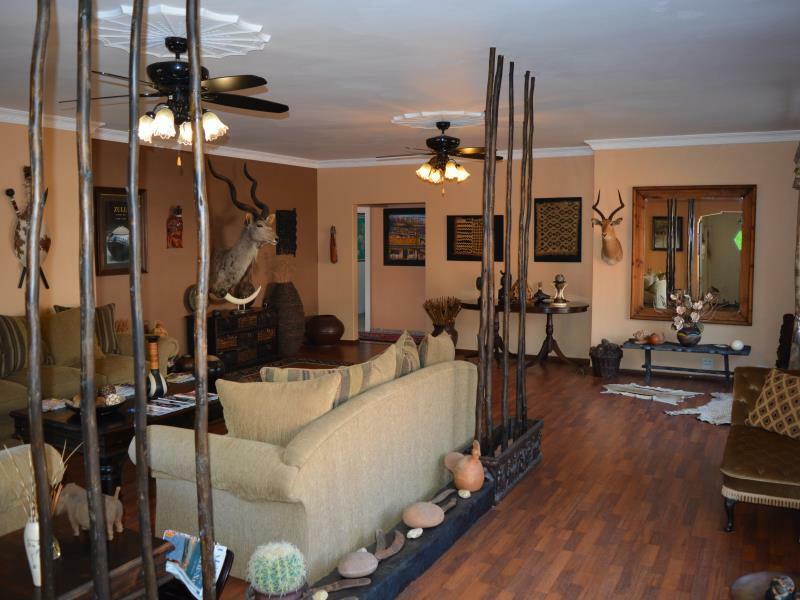 we wanted to use the hotel as a base for our trips to rorkes drift and the sani pass, we have stayed at many hotels and guest houses over the last few years, but we have never been met with so much enthusiasm and time from the owners. as soon as you arrive at this hotel you get the feeling you are arriving at a new home. the breakfast was tasty and served a selection of hot and cold dishes. there is also a games room in the basement that can be used for snooker, darts and table football. the bar has a large selection or drinks at realistic prices. if we returned to durban we would definitely stay at this hotel again. thank you for a great stay! Underbart värdpar,rent,snyggt,god frukost,ja allt var bara bra,vi kan inte säga något negativt om detta ställe. Sehr freundlicher Gastgeber, herzlicher Empfang, super Frühstück, sehr geschmackvolles, typisch afrikanisches Ambiente im Frühstücks.-u. Aufenthaltsraum. Sichere Gegend, Parkplätze auf Hausareal, teilweise überdacht. Gemütliche Bar im Keller. Einkaufsmöglichkeiten/Restaurants zu Fuß (5 Min. )erreichbar, auch nachts kein Problem Sehr zu empfehlen ist das oberste Zimmer im Haus, lichtdurchflutet, hell, freundlich, sehr geräumig, liebevoll eingerichtet. Die anderen Zimmer haben wir nicht gesehen. Proche de l'aéroport, chambres confortables, propreté, excellent accueil et petit déjeuner. Proche de l'aéroport de Durban, sécurité, chambres propres et confortables, excellent accueil et petit déjeuner.